A well-represented Dalit advocacy delegation from Nepal, visiting India to take stock of the type of laws made in the country and how they are being implemented to “safeguard” Dalit rights, has alleged that the new draft Nepalese constitution has “failed” to take a serious view abolition of the dreaded haliya system of bonded labour, prevailing in large parts of the country. Majority of haliyas are Dalits and are landless. The delegation -- visiting Delhi and Ahmedabad -- had come to Gujarat in order to gather facts on how to insert outstanding issues relating to Dalits while framing of the new constitution. Several members of the delegation claimed to be close to the committee finalizing details of the Nepalese constitution. Consisting of members of the Feminist Dalit Organization (FEDO) and a few journalists, the delegates, during an interaction with Gujarat’s voluntary organizations, said, a law banning bonded labour was enacted in 2008. “But there is little progress in removing the haliya system, which requires labourers to hereditary work in bonded condition after they take loan from the landed gentry”, insisted FEDO’s Durga Sob. “Following the law abolishing bonded labour, haliyas have been provided with plots of land for housing, but they have still not been provided with any alternative means of livelihood or land for farming”, added another FEDO activist Renu Sijapati. The interaction with Gujarat-based NGOs took place at Dalit rights organization Navsarjan Trust’s office in Ahmedabad. Facts gathered by a recent report on widescale discrimination in the distribution of aid to the victims of the devastating earthquake that rocked Nepal on April 25, 2015 said, two of the numerically strong Dalit communities -- Madhesi Dalits and of Musahar Dalits – have 85 to 90 per cent and 95 to 97 per cent no land at their disposal. The report, titled “Waiting for Justice” – jointly prepared by the Nepalise Dalit Civil Society organizations involved in earthquake reconstruction, Asian Dalit Rights Forum, National Dalit Watch, and the National Campaign on Dalit Human Rights, India – suggests, it is the haliyas who have been most discriminated against in the rehabilitation of the quake, underway right now. The delegation suggested, while there is nine per cent Dalit reservation in the government within the 45 per cent slot reservation for vulnerable sections of the Nepalese population, the haliyas have not received any benefit from it either. “Though bonded labour was abolished in 2008, and on paper the haliya system does not exist anymore, landlords continue employing them at will, as they have no alternative source of living. Lakhs of haliyas are not paid any wages. 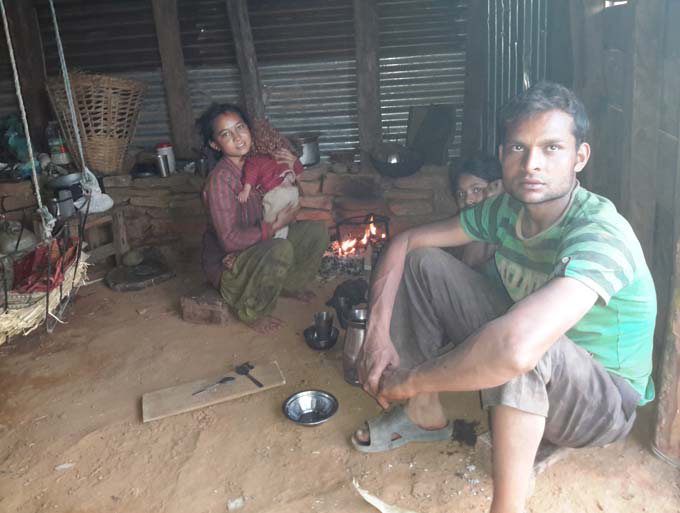 They are only paid in kind – they are given foodgrains”, said FEDO activist Laxmi Nupani. “It is not just men who work as bonded labourers in the rural areas of Nepal. The entire family is forced to work as hailya for the landlord’s farms. There have been many cases of haliya women being sexually harassed”, the activists pointed out. “The extreme form of exploitation led to the formation of the Haliya Mukti Samaj movement, which led to the abolition of the system in 2008. Ever since then, the Nepalese government has been working on schemes to provide land for housing construction to haliyas, which they did not have earlier, the main problem is, they are not being offered any alternative means of livelihood”, they said. “In the draft constitution, too, there is no provision of providing land to the haliyas, so that they could live a life of dignity. Haliya children do not go school but work on farmland with parents”, a delegate pointed out, suggesting land reforms is not on agenda in Nepal even today.